Welcome to the website of Ports de la Generalitat, a public-sector company affiliated to the Department of Territory and Sustainability of the Generalitat of Catalonia. We would like our organisation to be as open, accessible and transparent as possible, and that the work we do is known by all citizens. We would also like to make your life a little easier by opening a channel through which you can make enquiries and requests about the services of our port network. That is the aim of this website. 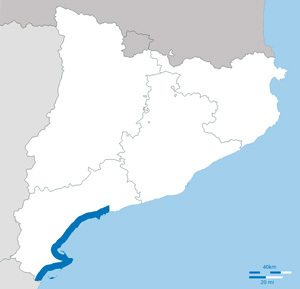 Ports de la Generalitat is in charge of running all non-concessioned fishing harbours, marinas and cargo ports directly managed by the Catalan government, namely 19 ports, 3 fishing harbours and 4 inland ports. This is a total of 26 facilities which are also yours. Our job focuses on modernising and improving port infrastructures, endorsing facilities and promoting their activity. Ports are a type of infrastructure that boosts the country’s economic development in areas as diverse as fishing, trade or tourism. What’s more, they are an undeniable source of wealth and job creation, which is our ultimate goal. We also focus on integrating ports into the urban landscape, minimising environmental impact and ensuring the public benefit of facilities. On this site you will see that this philosophy is real and also perceivable. Ports are not an aspect to be kept from view, but instead an essential means of stimulating the local economy that towns and cities must seize upon and enjoy to the full. We look forward to you forming part of this project. Ports are bustling hubs of life and progress for the towns they belong to and also their entire hinterland. Regardless of the type of activity, a port encompasses movement, exchange, energy and wealth. In order for all this to be possible, facilities, infrastructures and services must keep abreast of today’s needs for a port to remain dynamic. The needs of a port are constantly evolving. Therefore, one of the most important tasks is the constant modernisation and improvement of its infrastructure and facilities in order to meet new demands. 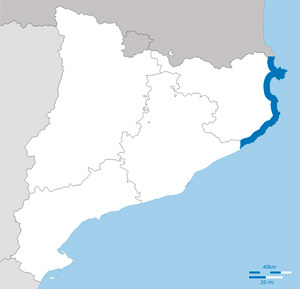 A public-sector company launched in 1998 following the Generalitat of Catalonia’s Ports Law and forming part of the Department of Territory and Sustainability, directs, plans and manages fishing, recreational and cargo ports that do not operate under concession. It also regulates the use of port-based commercial, cultural and recreational facilities which foster the economic and social balance of ports, docks and maritime facilities. The entity also applies appropriate corrective measures to protect the environment and the quality of seawater. Ports de la Generalitat boasts its own legal character and assets, administrative and economic autonomy, and the power to act to guarantee its initial purpose. This guarantees efficiency and diligence upon carrying out its tasks and rendering its services. 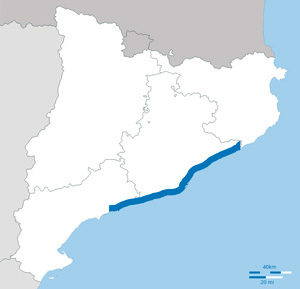 The structure of Ports de la Generalitat is divided into three Port Regions: Northern (from the French border to Tordera), Central (from Tordera to the border of Cubelles with Cunit) and Southern (from the border of Cunit to the River Sénia). It is also equipped with an executive committee, a management team and an advisory board for its internal organisation. Commercially promote and develop ports and other facilities in order to adapt them to the real needs of the port industry. Create lively port-related activity and maritime culture by developing commercial, industrial, fishing, recreational, cultural and tourist activities. Integrate ports and other port-based industrial facilities into the social and municipal environment. Optimise asset and resource management in order to achieve greater economic and social returns. 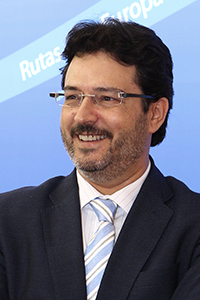 Foster sustainable economic development alongside full environmental protection, respecting the criteria, guidelines and recommendations stipulated by the government of the Generalitat, in particular the pointers of Agenda 21 of Catalonia. Attract new cargo traffic and research new markets. Increase range of value-added logistics services. Improve energy efficiency at ports. Promote and gain customer loyalty of the industry side by creating (directly or indirectly) port-based industries. Contribute to European and national policies related to the fishing sector. Optimise fishing harbours and reorganise spaces in use. Improve marketing of caught fish. Increase number of stopovers by short- and long-distance cruise ships. Coordinate with companies and industries to create synergies that attract more cruise ships. Provide infrastructures to foster cruise ship traffic.